SCARF Consortium director Ram M. Narayanan, a professor of electrical engineering at Penn State. Penn State researchers are collaborating with local radio-frequency and wireless-technology companies to help enhance each other’s work, an effort that may ultimately result in more high-tech job opportunities here. The State College Area Radio Frequency Consortium was born from meetings of potential stakeholders in the spring of 2017, and Penn State’s Office of the Vice President for Research approved its establishment last December. Ram M. Narayanan, a professor of electrical engineering who is director of the consortium, spoke with Town&Gown about the work of the consortium and its vision. T&G: Please tell us a bit about SCARF’s purpose and the motivation for creating the consortium. 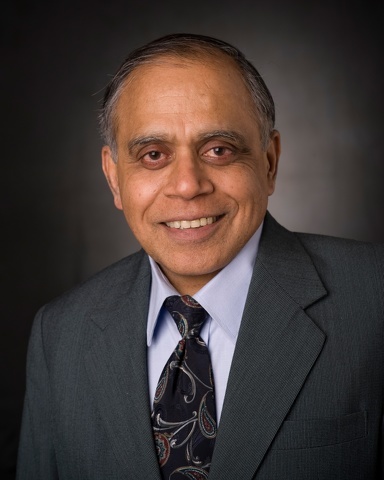 Narayanan: A unique opportunity exists in the State College area for engendering significant mutual collaboration and cooperation in the area of radio frequency (RF) and wireless technologies. These technologies are advancing at a very rapid rate and are becoming more and more ubiquitous. This technology is here to stay, and therefore it befits companies working in this technology to partner with possible collaborators nearby to develop new business opportunities. Several engineering departments at Penn State are at the forefront of this technology, with faculty members actively engaged in research sponsored by government and industry. There are also many high-tech companies in the local area working in these technologies. The basic and fundamental research at Penn State has direct relevance to what local companies are engaged on the business front. These companies can provide knowledge of the business opportunities to Penn State faculty and students. Thus, the SCARF Consortium can serve as a well-greased vehicle to support mutual collaboration between Penn State and local industry. In the short term, we seek to aggressively canvas companies in the local region to seek membership in the SCARF Consortium. To facilitate this, we have instituted very modest membership fees at two levels: basic and extended. Once critical mass is attained, the stakeholders will meet on a regular basis and collectively decide on the plan to move forward and expand the scope of the consortium activities. Current members will also be able to start accruing the benefits of their membership. We will also reach out to and draw in companies from outside the Centre County region as members. The long-term vision is: (1) to increase the number of current and new local industry member participants so that the benefits of the SCARF Consortium are available to more companies, and (2) to establish the Centre County region as an important technological center in the nation for research and development in RF, wireless, and related technologies. The goal is to make the consortium self-supporting using membership fees only. T&G: For us laypeople who may not know the ins and outs of this technology, how is the consortium benefitting the Centre County community? Narayanan: The SCARF Consortium seeks to benefit the Centre County community by providing a forum for bringing organizations together to develop partnerships. This will ultimately result in firmly establishing this region as a high-tech magnet for RF and wireless companies, thereby providing more job opportunities for qualified technical personnel who want to stay in this beautiful area. Local companies in Centre County can benefit in several ways. They can target top-quality students for on-campus or on-site internships with faculty members serving as academic mentors, and may ultimately be able to recruit them as future employees. They can work with faculty to sponsor student senior design projects in their technical interest area. In addition, they can facilitate factory/lab visits for students as part of the curriculum to not only provide a real-world learning experience but also help build continuous engagement with students who could become future interns or employees. Finally, SCARF Consortium members may be able to make use of equipment or facilities available with other consortium members at competitive rates. T&G: How many companies have signed on? Narayanan: Three companies have now signed on as members. (They are NexGen Communications LLC of Boalsburg, Remcom Inc. of State College, and Prism Technology of Lundhurst, N.J., which joined despite the distance from Centre County.) Several other companies, both in the State College area and outside, have evinced keen interest in joining. We are actively reaching out in all directions for enhancing the member base. T&G: What do you see as the potential for the Centre Region to continue to develop as a tech center? Narayanan: Establishment of the SCARF Consortium will spur local economic development in the Centre Region by attracting high-tech companies and helping establish startups. There are opportunities to obtain significant funding from agencies, such as the National Science Foundation, specifically targeted towards university-industry partnerships. There is also the potential to seek Small Business Innovative Research (SBIR) funds from various government agencies to explore new high-technology paradigms. All of this will help enhance the intellectual database in the local area in emerging technologies. Local companies need to think of this initiative as a positive investment. Many top quality graduating students preferring to stay in the local area go elsewhere owing to the lack of high-tech opportunities here. The success of the SCARF Consortium will provide them with more opportunities to stay locally and contribute to the region’s intellectual and economic development.